The development of Renal PatientView was initiated in 2004 with support from the Departments of Health in England, Scotland and Wales (history). Subsequent development funding has come from NHS Kidney Care, the Scottish Government and other smaller awards, but running expenses have been met by an annual modest charge to participating renal units. In Scotland these charges have been paid directly by the Scottish Government. The development of functionality to support Rare Disease groups has come from the British Kidney Patients Association and from Kidney Research UK. The UK Renal Registry provides considerable support for PV – most notably all of PV’s administrative support including financial accounting is provided by Renal Registry employees. Additional patient orientated information about the UK Renal Registry may be found here. Recent additional funding has come from a number of projects. Sustains is an EU project to improve empowerment of patients, quality of care, and efficiency and economy. 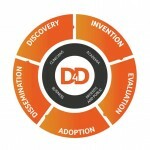 The Devices for Dignity (D4D) project has supported some work on drug reconciliation and patient involvement; other proposals are under review.